Chris Sutton has accused Scottish clubs of jealousy towards Celtic. The former Celtic striker has told opponents to stop whining about refereeing decisions and concentrate on beating Brendan Rodgers’ men. In his Daily Record column Sutton wrote that clubs are becoming desperate as Celtic continue their unbeaten run which has now stretched to 66 games ahead of the third encounter with Motherwell in a week. The BT Sport pundit drew on his own experiences when he was part of a Celtic side which went on a 24-game winning run in the SPL during the 2003/2004 season. A run ended by Motherwell in March 2004 draw. He said: “It was as though they had won the World Cup. It will be the same again when it happens as Celtic are the big scalp. “The urgency with which other clubs want it to finally happen is now entertaining. “Seeing how irate some people are getting rather than concentrating on their own job in hand. You can see the resentment creeping in. 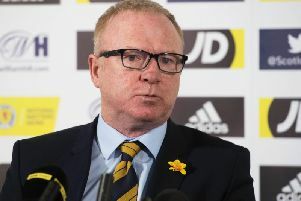 He added: “For other teams who want to take the scalp of Celtic my advice would be to not leave things to chance.